1 As to how many breweries are operating in Virginia in 2013, the Virginia Craft Brewers Guild lists 24, but those are dues-paying members only; the Mid-Atlantic Brewing News lists 43; YFGF's list of Virginia breweries 'on' Twitter shows 46 (34 active, and 12 in planning or under construction); the Virginia Tourism Corporation also counts 46; Virginia Living lists 51. In its first year, in 2012, the festival had 67 entries from 24 breweries. There were only five categories, and only one overall Best of Show, which Devils Backbone won for its Schwartz Bier. 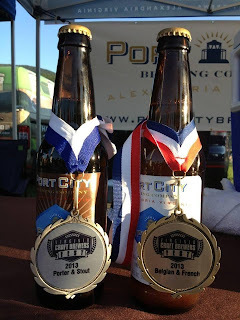 Port City Brewing snagged the most medals that year: three — one gold, and two bronze. 2 "The most common definition of Northern Virginia includes those counties and independent cities on the Virginia side of the Washington-Baltimore-Northern Virginia Combined Statistical Area. In 2010, this included the counties of Arlington, Clarke, Culpeper, Fairfax, Fauquier, King George, Loudoun, Prince William, Spotsylvania, Stafford, and Warren, and the independent cities of Alexandria, Falls Church, Fairfax, Fredericksburg, Manassas, and Manassas Park." From Wikipedia. 3 The Virginia Craft Brewers Guild did not publicly reveal the criteria used to award prizes, but one might confidently assume that Mr. Cannon extrapolated from the BJCP guidelines, with the 50-point scale used by that organization. 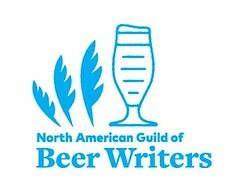 "The purpose of the Beer Judge Certification Program is to promote beer literacy and the appreciation of real beer, and to recognize beer tasting and evaluation skills. 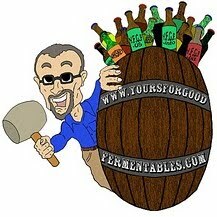 We certify and rank beer judges through an examination and monitoring process." Kudos to the organizers this year for quickly posting the list of winners to its website.